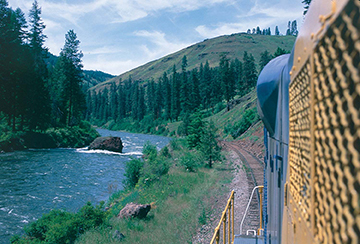 Eagle Cap Train Rides | Ride a train through northeast Oregon's dramatic landscape. Welcome to the official website of the Eagle Cap Excursion Train, located in the beautiful northeast corner of Oregon. The train offers scenic trips through the land of the Wallowas – one of the 7 Wonders of Oregon! Select “Book Online” from the main menu to make your reservations or contact Alegre Travel, 800.323.7330, or train@alegretravel.com. Select “Schedule” or “Trip Descriptions” to see the season’s excursion choices. Our agents are available weekdays from 9 a.m. to 5 p.m., if you would like assistance or information. The Eagle Cap Excursion Train was featured on Grant’s Getaways, a television show hosted by Grant McOmie and produced for Travel Oregon and KGW TV. We thank them. Enjoy! Then give us a call! Sit back and enjoy the sights and sounds of a train ride on the Eagle Cap Excursion Train. Journey back in time on a section of the picturesque and historic Joseph Branch rail line in Northeast Oregon. 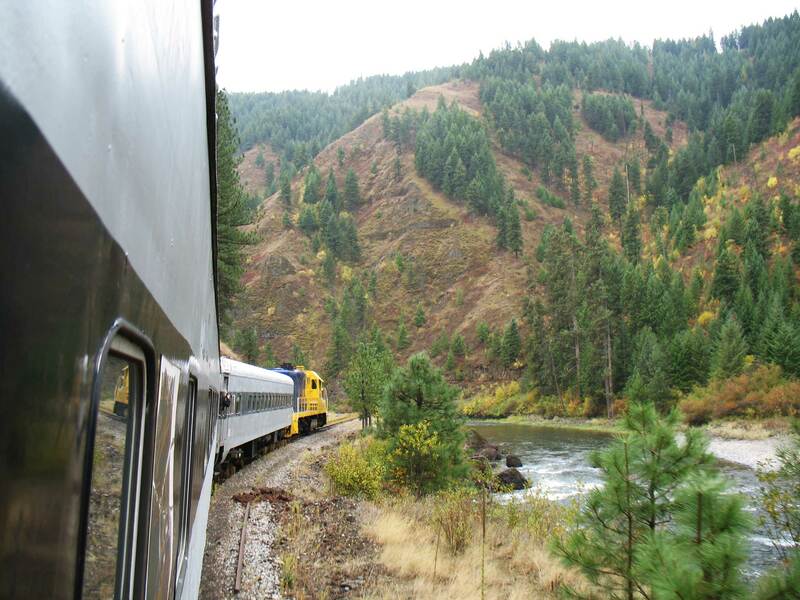 Discover untamed territory as the train follows the Grande Ronde River downstream through rugged cliffs and timbered ridges, then travels up the Wild & Scenic Wallowa River. Whether you are a rail fan, a nature and wildlife enthusiast, a history buff or a vacationer looking for a fun and relaxing way to enjoy the spectacular beauty of region, a ride on the Eagle Cap Excursion Train is sure to please! The train operates from the Elgin Depot, 300 Depot Street, Elgin, Oregon. The depot was built in 2012 in a style reminiscent of the original historic depot. It contains a gift shop, ticket office and historical railroad artifacts and is open to visitors Tuesday through Saturday, 10 a.m. to 2 p.m., opening extended hours on train days and with some alterations to the hours and days during the off-season. Please call 541.437.3652 to speak with the depot attendant. Entire cars can be reserved for groups. Charter the whole train for unforgettable special events. Motor coach parking is available at the north end of the depot. Watch this video by Chris Baxter of the La Grande Observer, made on July 20, 2013. Need advice on where to go for goods, services, events and entertainment? Go to the websites of the Union County and Wallowa County Chambers of Commerce. Or, download the new location-based Go Northeast Oregon mobile app to your smart phone!